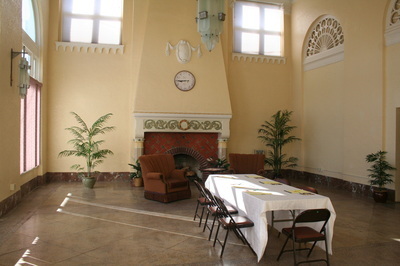 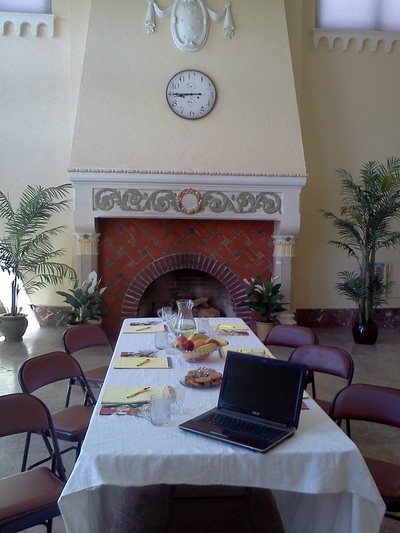 Located on the main floor inside the historic Baker Tower, the Fireside Room is available for hosting your next event. 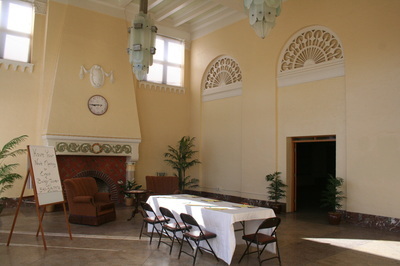 The Fireside Room is approx. 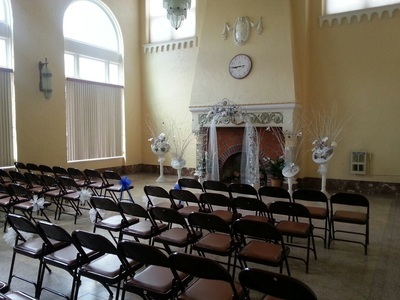 900 SF and can seat up to 60 people. Available with every reservation are: 3 - 98" X 36" rectangular tables, 6 - 72" round tables to seat up to 10 people, 1 - small round cherry-finish greeting table, 60 folding chairs, internet access, an easel, and a speaker’s lectern. 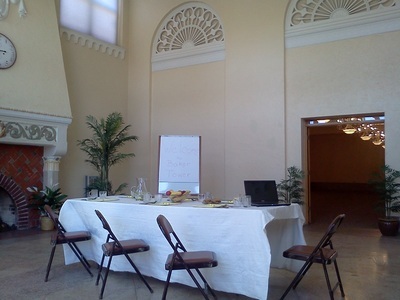 The room configuration of tables and chairs will be set up to meet your specific needs and is complementary with every reservation. 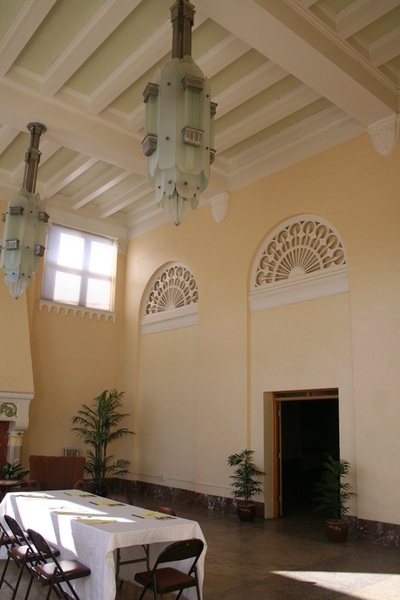 The Fireside Room has large arched windows, art deco light fixtures, terrazzo tile floor, and 24-foot tall ceilings. 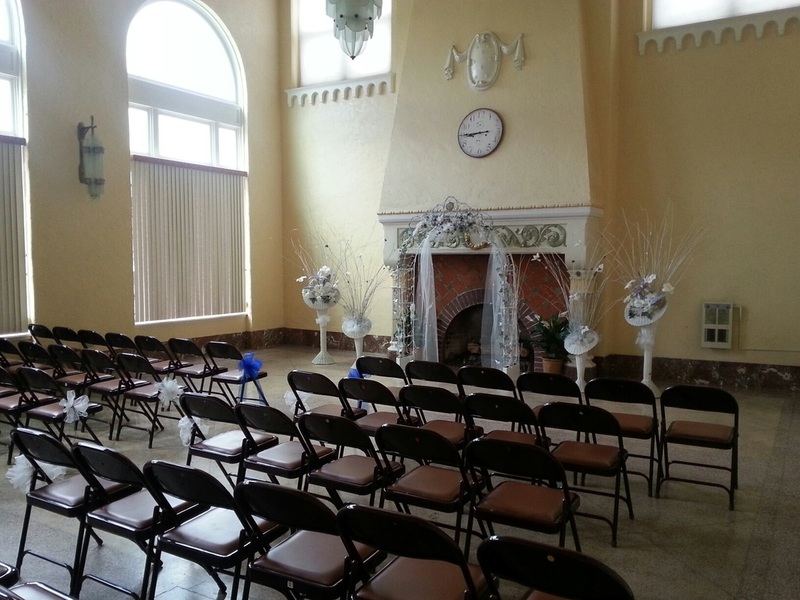 All of this charm will make your event stand apart from the rest! The Fireside Room is a located on the main floor inside the historic Baker Tower, which was constructed in 1929 as an 82 room hotel. 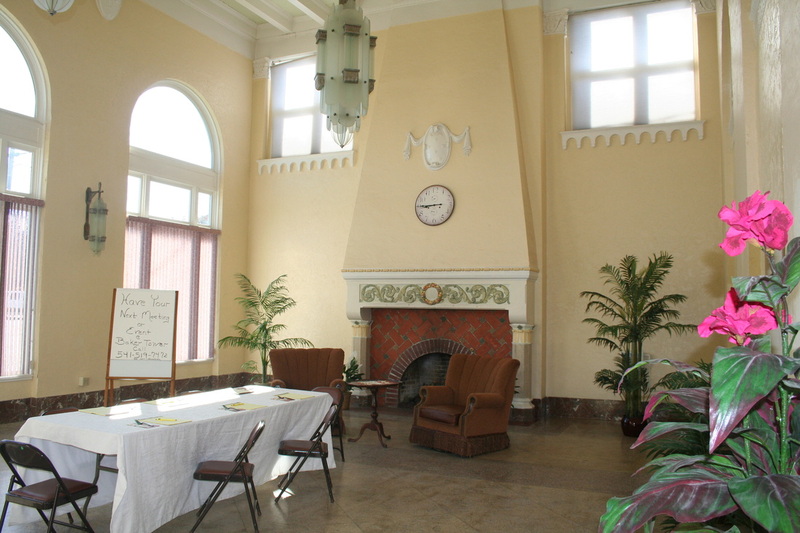 The Baker Tower has since been converted to a commercial and residential building, however, the building has retained its old-world charm. To print a PDF brochure of the Fireside Room, click here.